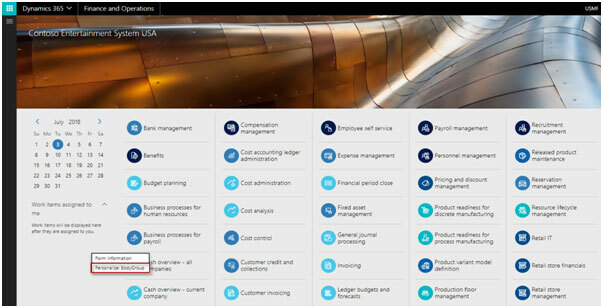 ﻿ How Workspace Defined in Dynamics 365 for Finance & Operations? 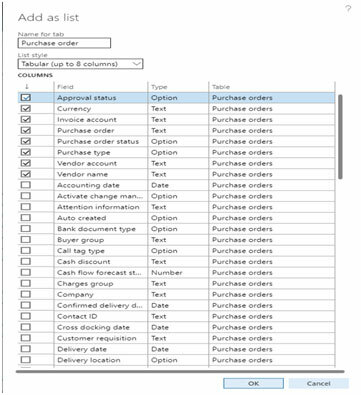 One of the Important feature of the dynamics 365 is the personalize user workspace with different daily used reports, frequently used data and various transaction details to provide user friendly view to improve the efficiency in day to day tasks. Workspace is design/customized as per user requirement and only add contents often required by the user. This makes dynamics 365 very popular among end user. There are various out of box workspaces available already for different roles of the organization to be use as per our requirement and also we can modify them if required. There is also a flexibility to create our own workspace if existing one doesn’t fit the need of the organization. 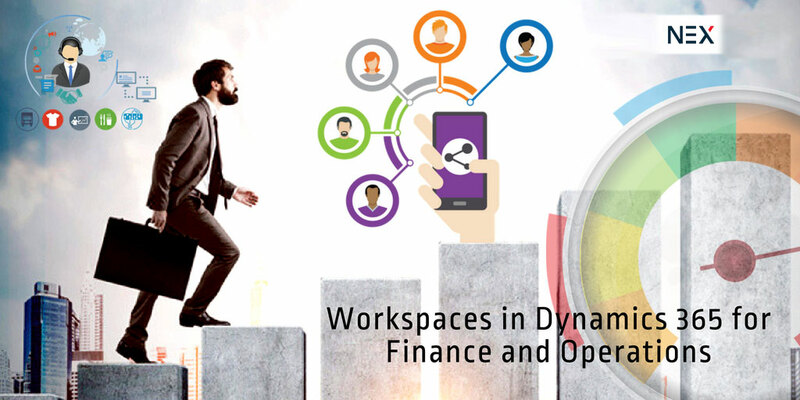 Microsoft dynamics AX company has provided a very easy and convenient way to create a workspace on your own which really gives great power to the user. Now it is a time to add required data in the workspace so that it will be use easily without any need to navigate in the system which is really a time consuming activity. Here as we are creating a workspace for purchasing manager, we will first add Tile of vendors to the workspace. Select the workspace created and selects the presentation style. We have three styles available and those are List, Link and Tile. In this case we will use Tile to display vendors. Select name of the workspace tile and choose whether to display record count on the tile or not. Next is to add data in the form of List in then workspace. In this case we will add list of purchase order in the workspace. Click on configure to add list to the workspace. Click ok to add list to the workspace. Go to the workspace to view the List. Now next is to add the data in the form of link in the workspace. In this case we will add procurement catalog link to the workspace. Go to the workspace to check the Link added. In this way we can add data to the workspace in the form of Tile, List and Link. It is very simple to share your personalize workspace with other colleague or to be use in other environment without any further hassle of creating the workspace. Browse the file which was shared to be imported in the system. Close and reopen Dynamics 365 to view the imported workspace. In this way we can share the workspace easily. 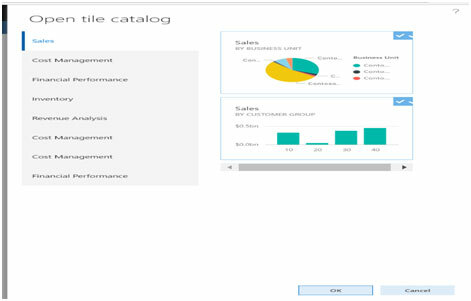 We can also add business intelligence reports in the workspace in order to provide real time operational insights. 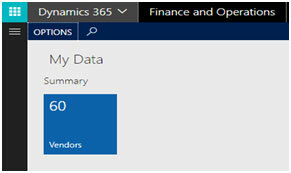 Workspace is a very powerful tool which can be used to design your space in dynamics 365 to get all the data at one place and in the style you want.